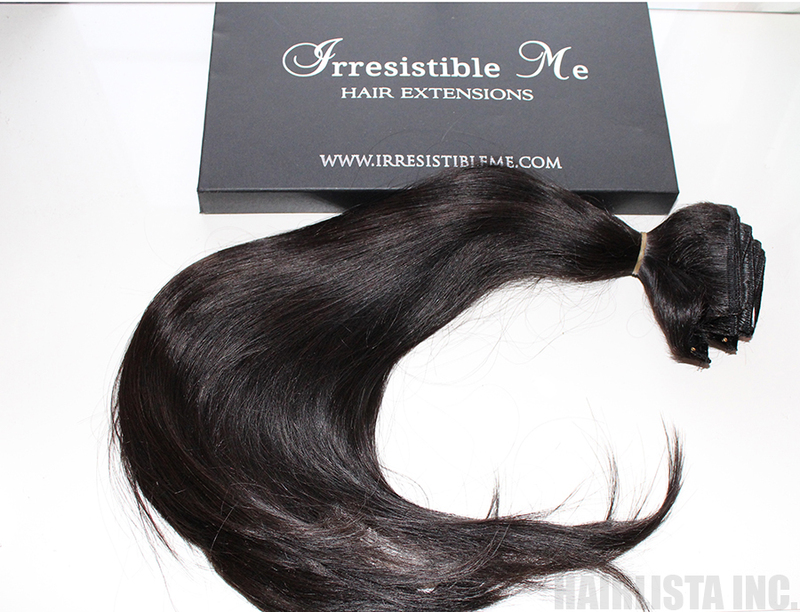 December 2015 - Hairlicious Inc. Honestly, there's nothing like an old photo to show you how much your hair has transformed over the years! I was digging through my archive of photos and I came across this old photo of my bun back when I started my hair journey (on the left). This photo was taken approximately 1 year into my hair journey - so my hair was becoming healthier. Seeing this photo, years later, brought back so many memories/thoughts/feelings I was experiencing with my hair, at the time. On many occasions "giving up" ran through my mind, but I'm glad I didn't. These "blast from the past" photos remind me that, I know it sounds cliche but, patience and consistency is everything!! 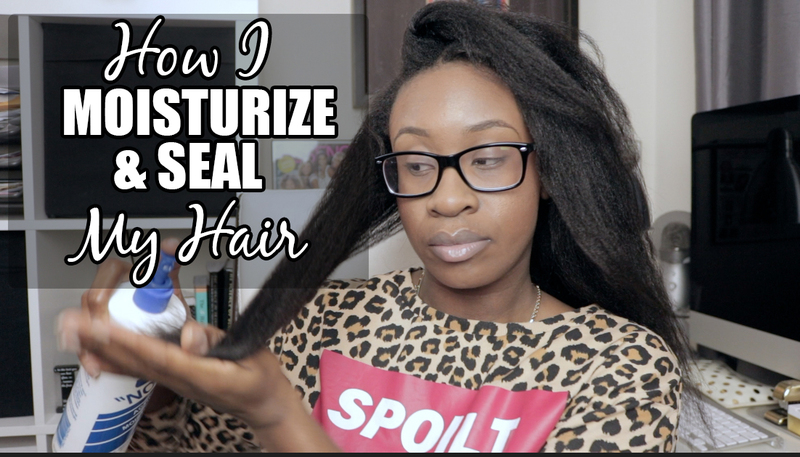 Here is a NEW video on how I moisturize and seal my 4B relaxed hair. 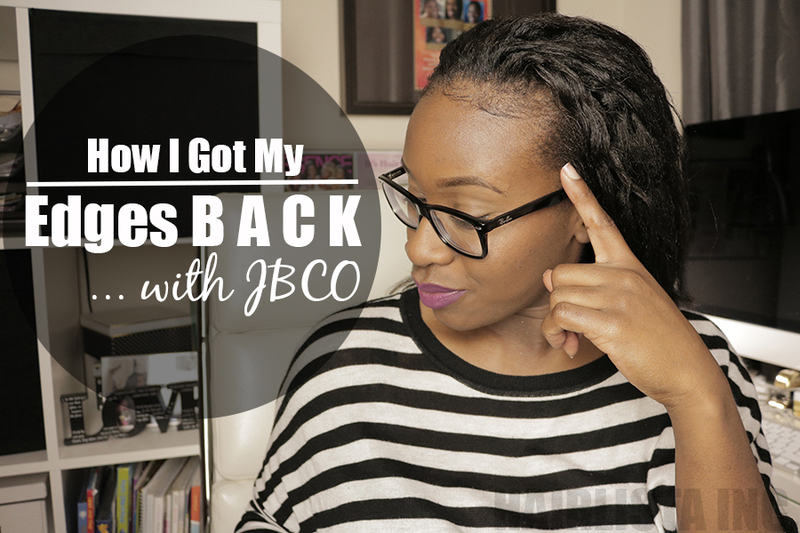 I'm 12 weeks post relaxer in this video. I've been moisturizing and sealing my hair in sections for years. Since I started moisturizing in sections, my hair has become healthier and I retain length easier. Moisturizing in sections ensures no hairs are missed and my strands are hydrated thoroughly. 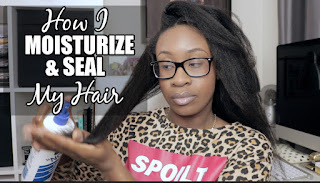 A few Hairlistas have asked me if my hair get's "wet" after using Scurl No Drip to moisturize my hair; however, my hair remains moist without the "wet" feeling. My hair type seems to respond well to glycerin based products. 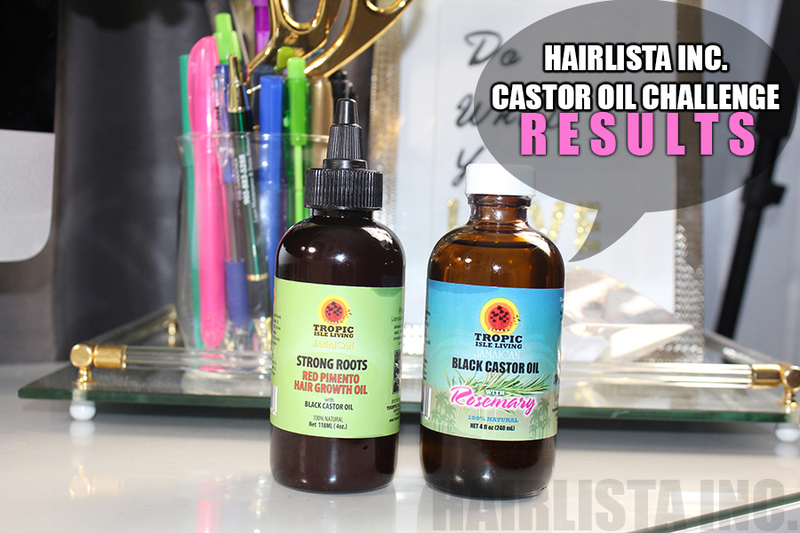 Castor Oil Challenge Part 10 Results - My Edges Are Coming Back! Where O' Where have my edges gone? Correction - just the right side! Hairlistas, I must confess, my edges on the right side has slowly thinned out without me even noticing. It was only until one random day in early September 2015, I noticed that my edges on the right side was so see-through. I was shocked, scared and worried all in one breath. I had no idea what may have triggered it, maybe stress? tight bunning? Who knows! With that being said, I was quickly inspired to start the Castor Oil Challenge Part 10 with the goal of growing out my edges, hairline and nape in 3 months (September - December 2015). 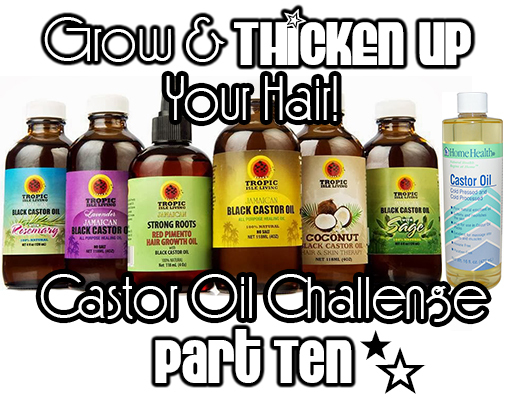 Because I designed this challenge to be "open", meaning participants could use any mixture of Castor oil they desired i.e. Castor oil with coconut oil, Castor oil with Rosemary etc. 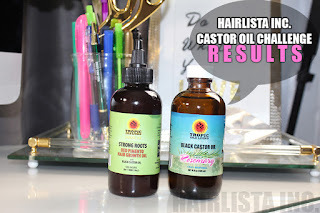 as long as it had Castor oil in it, I opted for the Tropic Isle Living Strong Roots Red Pimento Oil and the Tropic Isle Living Jamaican Black Castor Oil with Rosemary - instead of pure JBCO. This combination seemed much more rigorous in promoting hair growth. I mixed the two products together to form 1 oil that I would apply to my scalp/edges/hairline every other day. I'm happy to say that I was quite disciplined in sticking to my regimen. I oiled and massaged my edges for 2 mins with the pads of my fingers in circular motions. It's much fuller and stronger than before. It doesn't feel fragile like before either. 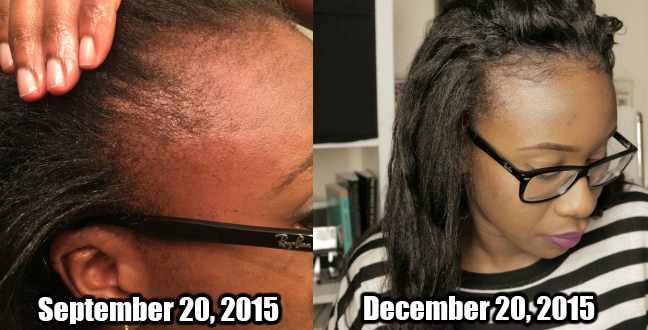 Please excuse my hair in the December photos - I took down two flat twists so my hair was slightly wavy in the front. Now I can grab the hairs on the right side easily as it gathers together better in my fingers. 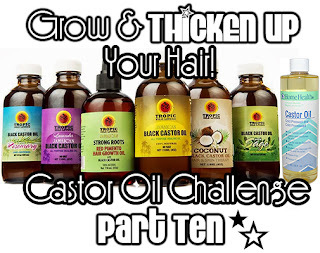 How was the Castor Oil Challenge for YOU? Share your experience below. 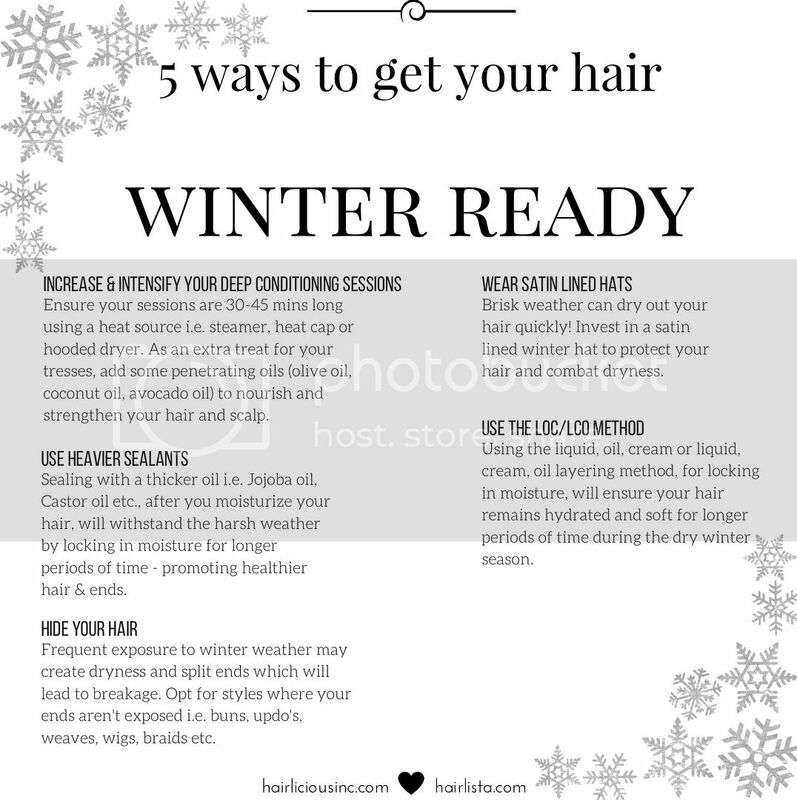 Protect your hair this Winter with a few of my favourite tips from my "Winterized" hair regimen! Amp up your conditioning sessions this season by deep conditioning for 30-45 mins long using a heat source i.e. steamer, heat cap or hooded dryer. As an extra treat for your tresses, add some penetrating oils (olive oil, coconut oil, avocado oil) to nourish and strengthen your hair and scalp. Provide your hair with an extra layer of protection by sealing with a thicker oil. Sealing with a thicker oil after moisturizing will lock in moisture for longer periods of time helping to maintain the integrity and health of your ends. Shield your hair from the harsh winter weather and tuck it away! Frequent exposure to winter weather may create dryness and split ends which will lead to breakage. Opt for styles where your ends aren't exposed to the elements i.e. Buns, updo's, weave, wigs, braids etc. Brisk weather can dry out your hair quickly! Invest in a satin lined winter hat to protect your hair and combat dryness. Preventing moisture loss is essential when combatting dryness. Using liquid, oil, cream or liquid, cream, oil layering method, for locking in moisture, will ensure your hair remains hydrated for longer periods of time during this dry winter season. 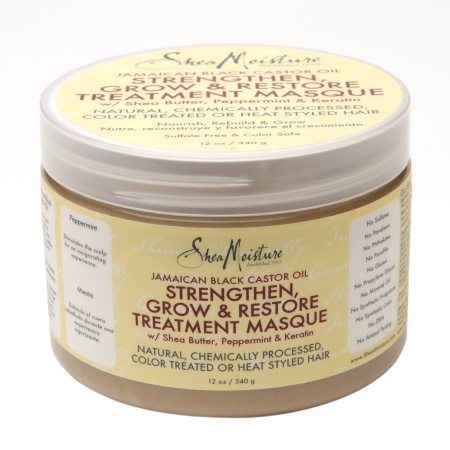 What are you doing to protect your tresses this winter season? 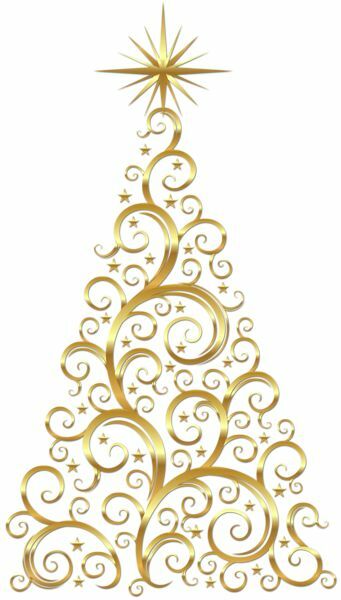 Happy December Hairlistas!! So the countdown to Christmas has officially begun and I'm excited :) Not only do I have my wishlist ready with a few goodies I cannot wait to try, they are also all under $30.00. These items are affordable and will pamper any Hairlista with fab Holiday hair. Check'em out! Are you a healthy hair fanatic? 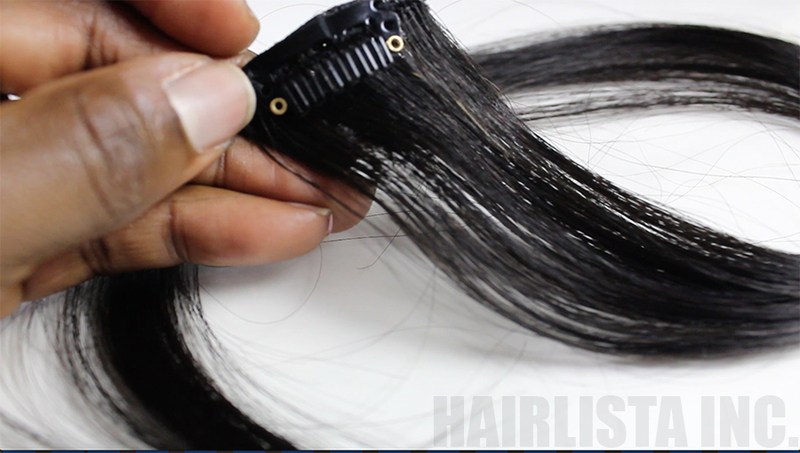 You love bone straight hair but not interested in the possible damage direct heat can cause on your hair? Same here!! 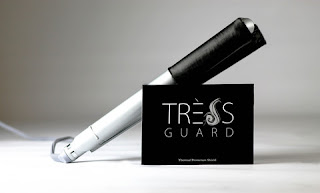 Well Tress Guard has developed a silk barrier between your hair and flat iron that will protect your hair from the heat. Clever huh? Now I can enjoy guilt free heat-styled hair over the holidays! Not only has this masque accumulated rave reviews but it contains JBCO and I’m a huge fan - as you should know! This masque is designed for chemically processed hair as it restores strength, moisture and, as a bonus, the peppermint oil will tingle your follicles helping to promote growth! I’m sold! 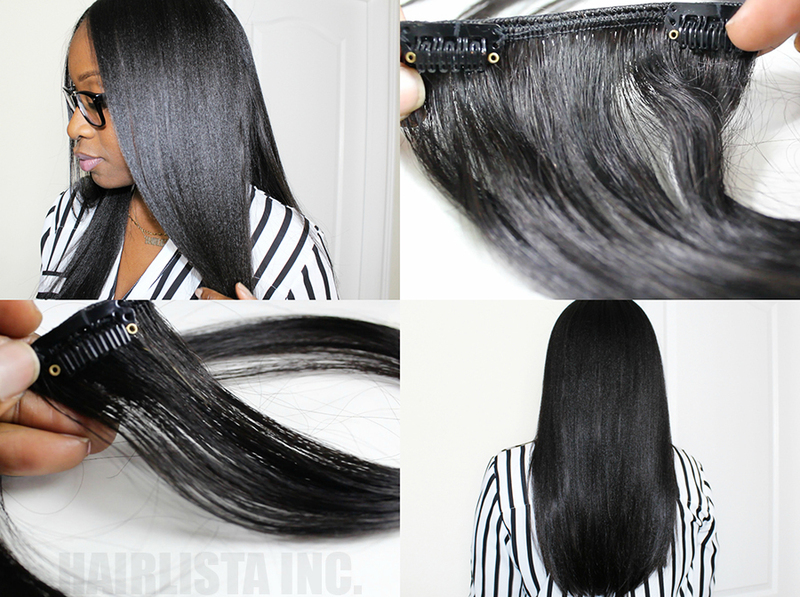 If you haven’t heard by now, seamless combs are the way to go! Because of the way Seamless combs are designed, they help to reduce shed hairs, split ends and breakage when combing – leaving more hair on your head! 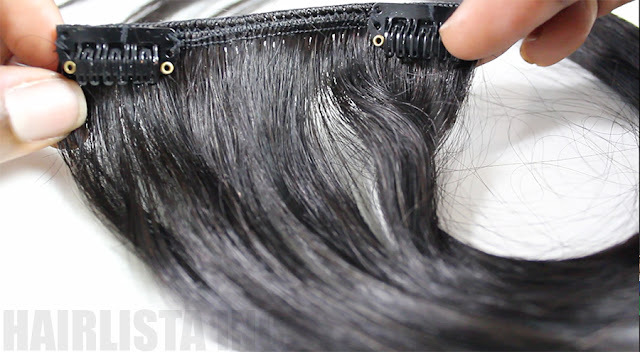 It’s perfect for detangling long or short hair - safely. It’s definitely a “must-have” item for me. 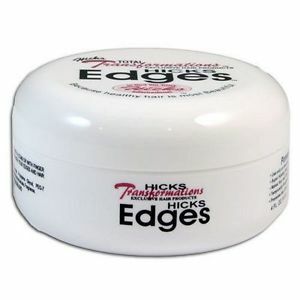 Everyone wants edge perfection when styling they’re hair for a sleek smooth look. No need to look further! I’ve been “eyeing” this edge tamer for a while and from all the reviews I've heard, it seems to live up to its promises providing a firm hold and super shine without flakiness or residue. Count me in! I'm all about flawless edges for the holidays! I’m a champion for regular deep conditioning sessions but if you’re always on the go like me i.e. doing house chores, cooking, cleaning etc. then this heat cap needs be an item on your Christmas hair wish list, too. 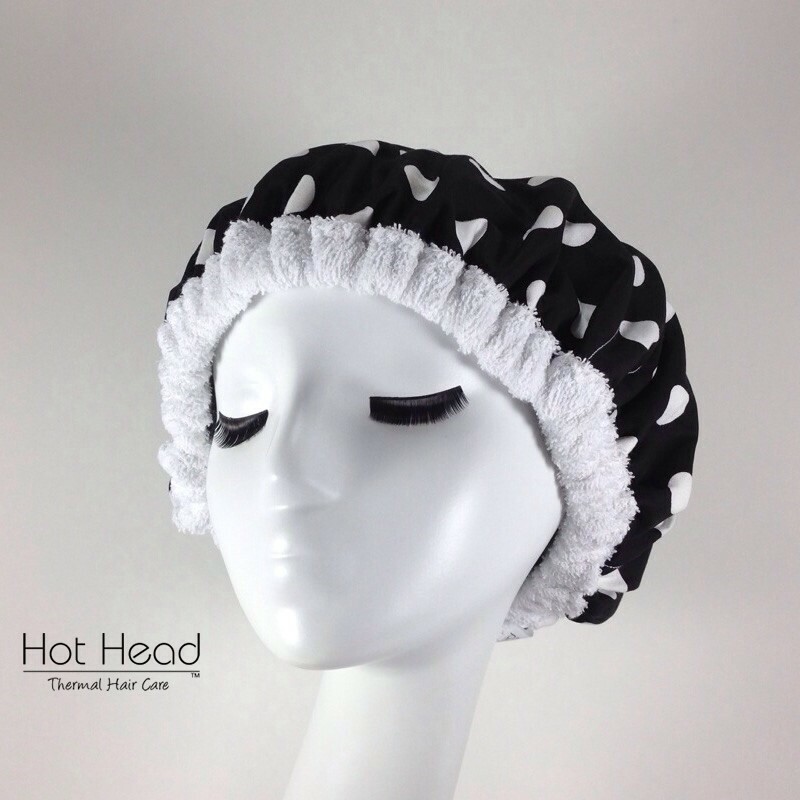 Hot Head Heat Cap is a handmade terry cloth microwaveable heat cap with renewable flax seed that will generate heat when warmed. 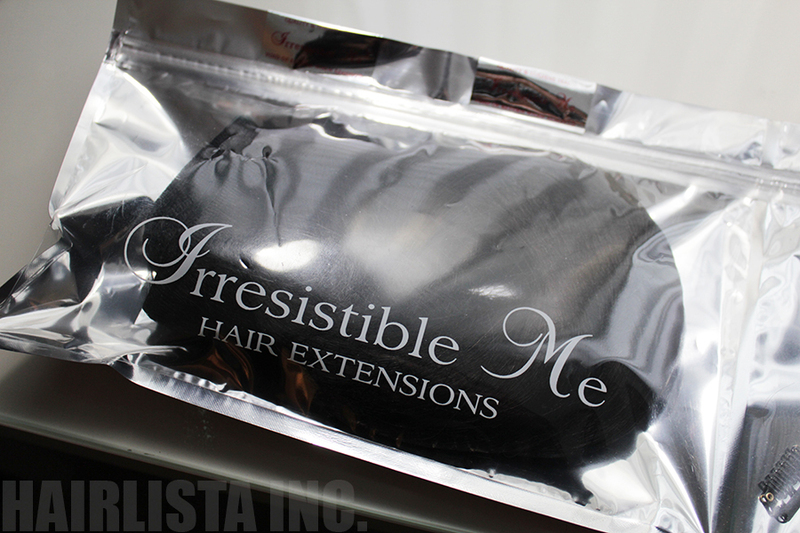 Just simply pop it into the microwave for a few seconds and put it on your hair for 30-45mins for gentle moist heat. Gone were the days of cords, plug-ins and outlets. Why not be set free and have fabulous healthy hair while doing it! 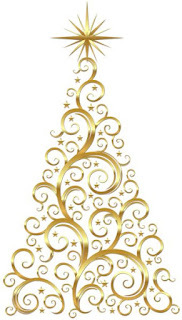 What's on your Holiday Hair Wish List this year?